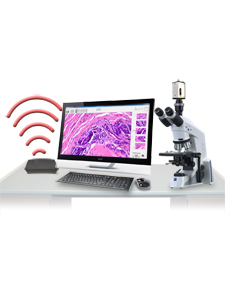 SPOT Imaging offers digital pathology solutions that enable remote collaboration and digital image sharing without slide scanners. Gross specimens, autopsy, gram stains, and fine needle aspirations can be safely and securely shared with another location on site, across town, across the country, or across the world. Remote specialists can attend tumor board meetings without leaving their offices. Our telepathology solutions eliminate the need to transfer physical slides for fine needle aspiration biopsies or cytopathology. Travel time for remote specialists for consults or tumor board reviews can be eliminated. This saves valuable time and expense and the faster diagnoses results in better patient care. Published studies indicate that telepathology support of pathology consultation contributes not only to improved patient outcomes, but also reduces liability and results in significant time savings for the hospital, pathology lab and surgical personnel. Connecting the pathologist directly to the surgical suite and subspecialty opinions creates the opportunity for real-time consultation and the immediate resolution of orientation and diagnosis questions presented during surgical procedures. Telepathology also provide doctors and staff with methods for immediate archiving and retrieval of key procedural images, which is essential for reference, QA audits and liability case support. The amortization period for implementation of this technology is remarkably short when calculated against time savings for staff, reduction in surgical site infections and re-excision surgeries and support of liability abatement programs. SPOTMeeting™ is an easy to use, fully interactive software environment for sharing high definition images and collaborating with remote specialists in real time. Audio, cursor, annotations, files and software controls are also shared, and presenters can be swapped, making communication simple. 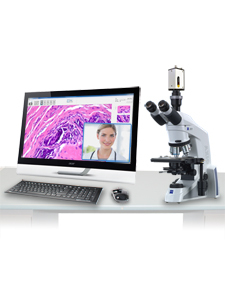 SPOTMeeting is the ideal choice for remote pathology consultations. SPOTBroadcast captures video in high definition and provides cost effective, one-way streaming of images over the internet without a computer or software. The PathStation 2 macro digital imaging system makes it easy to capture, annotate, measure, and save high quality images of gross specimens in the frozen section room, and to share the images with specialists in other locations. 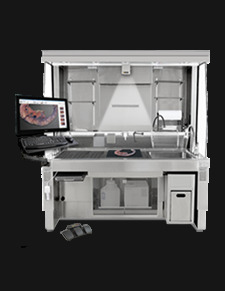 Its fully enclosed HD camera and touch screen monitor take up minimal workspace, and can be mounted in a grossing hood, configured as a freestanding unit with lighting, or mounted on a wall in the laboratory per your needs.